Birstall Parish Council manages 137 allotments and there are three sites to choose from, they are situated on Meadow Lane, Worcester Avenue and Greengate Lane. You don't have to live in Birstall to apply for an allotment plot. What are the Benefits? We want to actively promote allotments and encourage people to get the most out of their plots. New allotment holders find that they quickly develop new skills and knowledge and many plot holders see the development of their allotment as part of a positive life choice. They are also a good way to make friends with people who share your interest in gardening. They are a great way to relax and unwind from the stresses of modern living and provide an excellent form of exercise for people of all ages and abilities. How do you apply for an allotment plot? 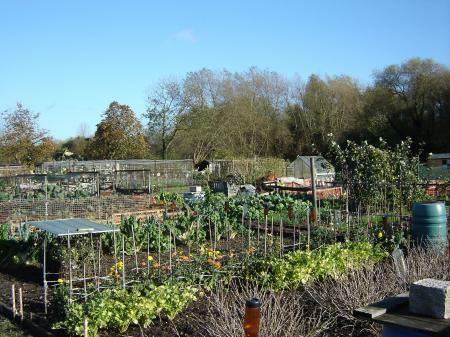 To apply for an allotment you need to complete the application form, (available to download below), and return it to the Parish Council office by hand, post, or email to the addresses at the bottom of this page. We will confirm receipt of your application form and will contact you again when you reach the top of the list. We will send out an annual letter asking you to confirm that you still want an allotment and will give an indication of where you currently are on the waiting list. How much does it cost? We currently have vacant plots ready for an immediate start, either a full plot at £30.00 per annum (including water charges) or a more manageable half plot at £20.00 per annum, we find these are a good start for people who work or have a young family. Tenancies are renewed annually and new tenancy agreements are sent out with an invoice in September each year, payable by no later than the 14th day of October. Payment can be made at the Parish Council offices at the address below. Tenants are permitted to keep hens and/or rabbits on their plot, however, they must request permission from the Parish Council before proceeding. There are separate Rules and Regulations that will be applied and an additional Tenancy Agreement which incurs a £50.00 deposit.